CRIME, PUNISHMENT & REDEMPTION, a CBS Interfaith Special, looks at how the faith community is helping returning citizens and their family members put their lives back together after incarceration. This special broadcast will be on the CBS Television Network on Sunday, Oct. 5 (check local listings). The Green Reentry project was created in 2010 by the Inner-City Muslim Action Network (IMAN) based in the South Side of Chicago. Green Reentry converts foreclosed homes into green, environmentally sound transitional housing for the formerly incarcerated who are reentering society. The renovation of these homes provides on-the-job training and a living wage to these individuals while fostering a sense of good will through community improvement. The program features Rev. David T. Link, a lawyer turned Roman Catholic priest who is a volunteer chaplain in the Indiana state prison system. His story was the focus of recently published biography entitled Camerado, I Give You My Hand by Maura Poston Zagrans. We hear from Father Link about his journey from husband, lawyer and father to widowed Catholic priest, as well as about the need for prison reform. While writing the book, Zagrans shadowed Father Link during his prison visits for three years, and she discusses what she learned and why she’s become an advocate for reform. Healing Communities Prison Ministry is a national organization dedicated to bringing hope, healing and reconciliation in families and communities impacted by crime and mass incarceration. The organization’s director, Harold Dean Trulear, Ph.D., is an ordained Baptist Minister and Associate Professor of Applied Theology and Director of the Doctor of Ministry Program at Howard University in Washington, D.C. He discusses what led to the creation of the organization and the resulting shift in attitudes towards returning citizens and their families. 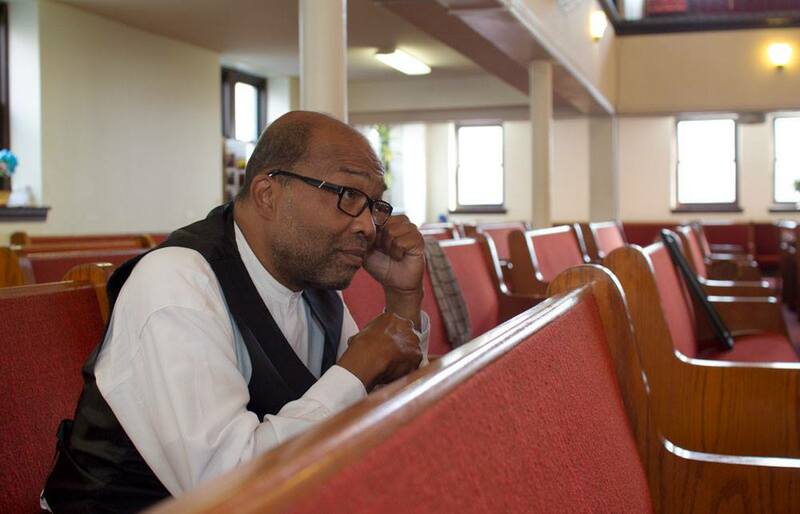 Four years ago, the Healing Communities ministry was introduced at Berean Baptist Church in North Philadelphia, Pa. Senior Pastor Reverend James H. Buck talks to us about the power of the pulpit and why he offers a “Social Justice Sunday” every five weeks to help reduce the stigma experienced by returning citizens and their families. Lastly, we also hear from Rev. Douglas Walker, M.Div., the United Methodist National Coordinator For Criminal Justice Reform, about why the United Methodists adopted their Healing Ministries plan. They are now conducting workshops across the country working with other faith communities. John P. Blessington is the executive producer and Liz Kineke is the producer. In creating the topics and content of this Cultural & Religious Documentary, CBS seeks input from the National Council of Churches, the Interfaith Broadcast Commission, and from clergy, scholars and other representatives of each of the religions presented within a program. Following the Oct. 5 air date, this program may be viewed again at www.cbsnews.com/religion-and-culture. “Like” us on Facebook.com/CBSReligionand follow us on Twitter@CBSReligion.